1. Total length of the pipe. 2. The length of the individual sections between each bending and the length of the individual arcs. 3. The different bending angles. 4. The diameter and wall thickness. 5. Genre material of the tube or profile. 6. 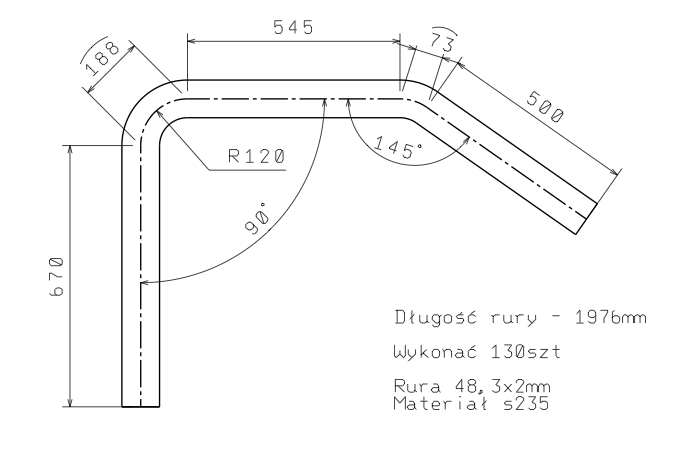 Bending radii must be consistent with information held by our company instrumentation. See below. 7. Technical drawings are welcome. 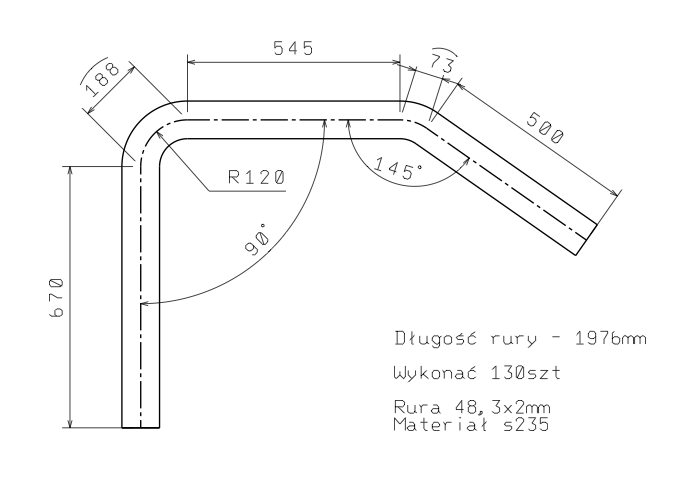 Example of a technical drawing with all relevant dimensions. Please direct inquiries via the contact form provided below.